Expert panel finds “scientifically indefensible” conclusions in 14-volume study. Two volcanoes rise from Lake Nicaragua to create Ometepe Island, a UNESCO biosphere reserve and popular ecotourism attraction. Scientists have raised concerns about a proposed shipping canal that would cut through Lake Nicaragua, the largest lake in Central America. Click image to enlarge. On Sunday evening, May 31, executives of Environmental Resources Management, a British research consultancy, joined the principals of the HKND Group, a Hong Kong-based development group set on building a canal across Nicaragua, in a private ceremony in Managua. The event was held to formally submit a 14-volume study to Nicaraguan authorities on the environmental and social consequences of constructing a new and mammoth shipping corridor across Central America. Click the links below to view a summary of the expert panel’s review of the Nicaragua Canal Environmental and Social Impacts Assessment and ERM’s response to the review. The following day, in a made-for-television press event, a copy of the 14-volume Environmental and Social Impact Assessment of the proposed Nicaragua Canal was displayed on a small table for news photographers. Though the study is not available for public review, ERM and HKND executives joined government authorities in asserting that the canal construction is safe and feasible, and they defended the quality of the environmental assessment, which the government and HKND say is central to the case for starting excavation, perhaps before the end of the year. “The purpose of the study is to provide an objective, current assessment based on science,” Manuel Coronel Kautz, the president of Nicaragua’s Grand Canal Authority, told reporters. The quality of ERM’s data, though, and the accuracy of its conclusions about the potential harms from canal construction and operation, are not nearly as airtight as Nicaraguan authorities and HKND affirm. In March, ERM invited 15 environmental scientists and project experts to Miami to spend two days reviewing four chapters of the environmental assessment. In an 11-page evaluation obtained by Circle of Blue, the panel’s members concluded this spring that ERM’s environmental study is rife with significant flaws. 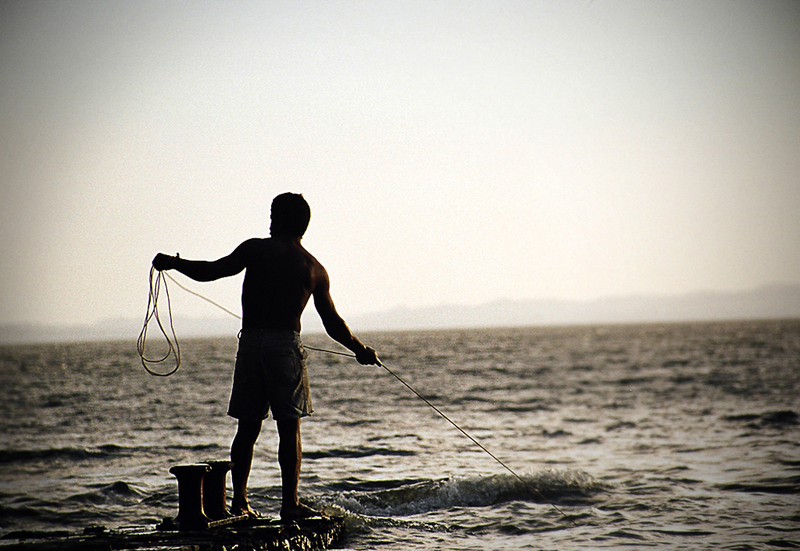 The proposed shipping canal would cut through Lake Nicaragua, the largest lake in Central America. Click image to enlarge. Panel members expressed frustration at what they said was insufficient data collection on water quality, geology, sediments, species, erosion, and fisheries. They complained about the pedestrian quality of ERM’s analysis of the data that it did collect. At various points in their report, the panel castigated ERM for what they called “indefensible,” “implausible,” “wrong,” and “not realistic” scientific conclusions. The special panel’s members, most from U.S. universities, also raised penetrating questions about whether building and operating the proposed $US 50 billion, 278-kilometer (173-mile) canal is even feasible. The gravest areas of concern, said panel members, involved understanding the geology beneath Lake Nicaragua, the disposal of 1.1 billion metric tons of silt that would be dredged from the lake for shipping channels nearly 28 meters (91 feet) deep and up to 520 meters (1,700 feet) wide, and whether there would be sufficient supplies of water to operate two sets of locks in the event of deep and prolonged droughts that are anticipated in the region due to climate change. Panel members also said in interviews that they wondered if the study’s weaknesses would jeopardize ERM’s global reputation for thorough and first-rate work. 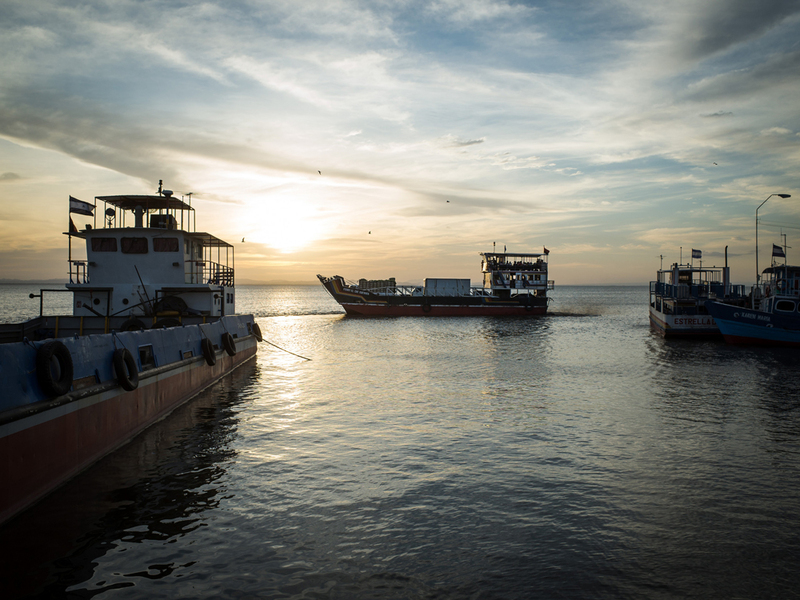 A review of the Nicaragua Canal’s environmental impact assessment raised questions about the effects of dredging and sediment disposal on fisheries in Lake Nicaragua. Click image to enlarge. Circle of Blue also obtained a copy of ERM’s 16-page response to the special panel, which is the only portion of the 14-volume study that has been made public. In its response, ERM generally agreed with the weaknesses in the work that the panel illustrated and said that some analysis had been reworked. In most cases, said ERM, the tight two-year deadline for completing the assessment for HKND meant its researchers often did not have sufficient time to conduct more thorough data gathering. ERM recommended that HKND and Nicaragua authorities pursue research that responds to the concerns raised by the special panel and by several other science and environmental organizations, which have produced evaluations that are critical of the potentially grave consequences to water, forests, coastal regions, wildlife, and human communities from building the canal. 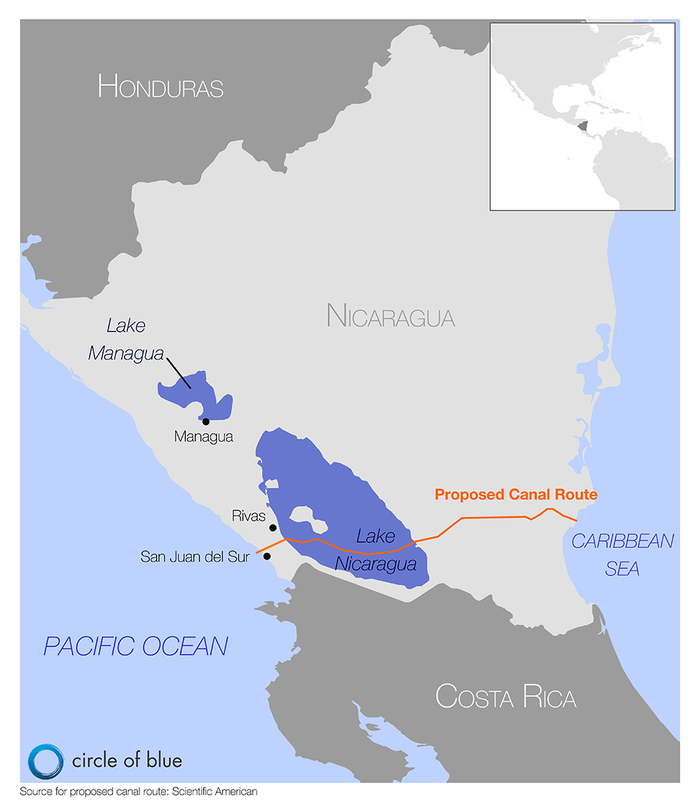 As proposed by HKND, the Nicaragua Canal would be more than three times longer than the Panama Canal; include two sets of monumental locks, larger than those currently under construction at the Panama Canal; require the construction of a 395-square-kilometer (152-square-mile) artificial lake; and force thousands of people from their homes. Protesters demonstrate against the deal — reached in 2013 between Nicaragua’s government and Hong Kong-based development group HKND — to build the Nicaragua Canal. 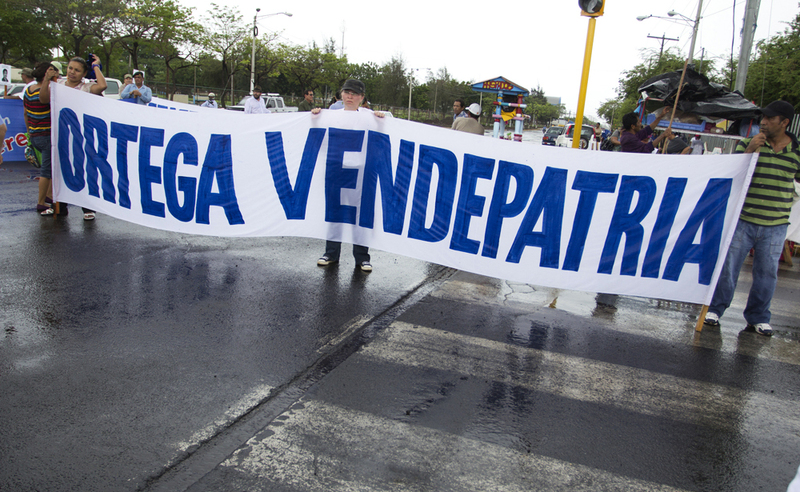 The sign reads “Ortega Vendepatria”, which translates to “Ortega the traitor.” Click image to enlarge. 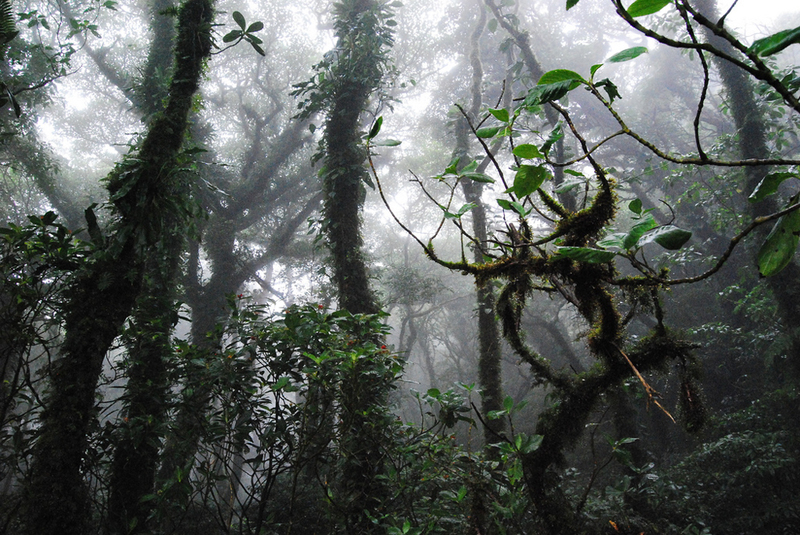 As noted in the special panel’s report, the entire corridor proposed for construction — and the coastal marine environments in close proximity to the canal’s Pacific and Caribbean entrances — supports strong fisheries, is a storehouse of exotic tropical plant and animal species, and is home to dozens of indigenous human communities. The panel found that the four chapters of the environmental assessment they reviewed contained what members called “limited” data on forest habitat and other essential resources that would be affected by the canal. One of the panel’s deepest concerns is the safety of Lake Nicaragua, Central America’s largest lake and a relatively shallow, clean, and oxygen-rich source of fresh water for thousands of people and a thriving fishery. HKND proposes to cut a 105-kilometer (40-mile) channel across the lake so deep and wide that it would require a wet-excavation project of silt and mud five times larger than constructing the offshore airport in Hong Kong, which is the largest such wet-excavation project ever conducted. HKND proposes to build three islands in the lake to dispose a portion of the dredge spoils. The rest would be dumped into the lake to settle to the bottom in 3-meter-tall (9-foot-tall) berms that would run the length of both sides of the dredged channel. A tropical rainforest on the Maderas Volcano on Ometepe Island. 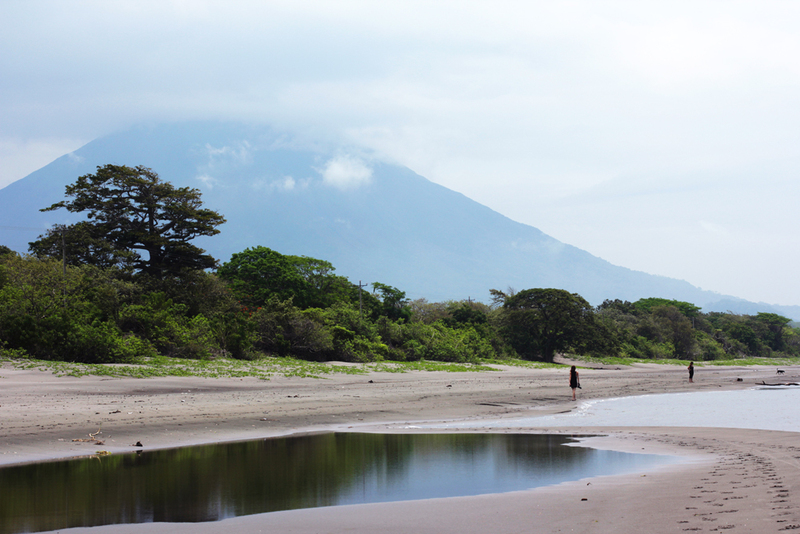 The island is a UNESCO biosphere reserve in Lake Nicaragua. Click image to enlarge. The 15-member panel found that conclusion absurd. “This finding of moderate significance of dredging impact simply is scientifically indefensible,” the panel concluded in their report. Pouring so much fine silt into a shallow lake would cloud the water, cause oxygen-starved conditions, introduce nutrients that lead to dense algae blooms, dramatically damage the lake’s important fisheries, and seriously degrade the lake as a source of drinking water. “This fine-grained clay will likely have a large impact on the in-lake sediment disposal plan and result in severe water quality impairment,” said the panel report. The panel also criticized ERM surveys of existing plant and animal life in the canal corridor, calling the consultancy’s data gathering “brief and incomplete.” Panel members noted that little attention was paid by ERM researchers on the effect that the canal would have on the ability of animals to migrate freely, because the proposed canal would form a new terrestrial barrier. Another of the panel’s concerns was large gaps in the environmental subjects that ERM researchers chose to address. For instance, ERM did not consider the canal’s potential to affect the Pacific Coast of Nicaragua, which is one of the world’s most important habitats and nesting beaches for four of the seven species of sea turtles. The Nicaraguan government has not made the ERM study public, nor has it indicated when it will do so. Panel members said it is imperative that the 14-volume study be available for public review. The ferry “El Che Guevara” in Muelle de Moyogalpa, a port town on Ometepe Island in Lake Nicaragua. The island receives about 40,000 visitors each year. Click image to enlarge. Good news is not kept secret. This is a dangerous gambit by Ortega and the fsln… It’s good news for the opposition. We live in a new age of communication and education. These are not the same uneducated peasants of 1978. The people will not tolerate govt. by decree any longer. Please save the Nicaraguan Lake from destruction and the sick ambitions of the Ortega / Murillo family. I do not see a list of shipping companies requesting a canal of such magnitude. We already have more than 30 rivers completely dry during the dry season in Nicaragua, so many others very polluted and the last big reservoir of fresh water in Central America in danger of being destroyed by a Chinese billionaire. Wake up Nicaraguan people before is too late to stop this mega-project that is going to displace thousands of farmers and Indigenous communities from their ancestral land and destroy the way of way life in and around the Nicaraguan Lake. wow very interesting article I really hope they dont destroy our beatiful Nicaragua….! Here in Spain, we are also very concerned about the construction of this mega-canal, that we think it would be unviable from every point of view. The International Scientific community has to give more support to the Nicaraguan Scientists that, in several occasions, pleaded for support in “Science” and “Nature” editorials. Although I am aware that the building of such an absurd project do have geopolitical consequences, and is used by powers to manipulate the view of the people, we, as a Scientists, should just to be concerned about the severe and irreversible damage that this canal would cause to all those ecosystems. Direct consequence of losing such a marvelous biodiversity ( it seem a sacrilege) would have an strong impact on the Economy over all Centroamerican area, causing a huge movement of natives and their lands. In an era of global warming not possible to deny anymore, when the major threat is, already, the availability of safe drinking water, it is clear that any serious “Environmental Resource Management” corporation, would not lend itself to produce a favorable report on that kinf of brutal projects. Far less in an area of special seismic and volcanic risk, as we know was the cause for discarding the previous Nicaragua Canal Project a century ago. Racist epthets and racial prejudice have no place in this discussion. They are morally repugnant and must be condemned for that alone. Anti-Chinese racism also serves those who would promote the canal by discrediting its opponents. If “SenorPescador” is not consciously in the service of such people, he might as well be.